The Multimedia Art Museum in Moscow is a Russian state museum dedicated to the presentation and development of actual art related to new multimedia technologies. The museum was opened in October 2010 on the grounds of the Moscow House of Photography, the first Russian state art institution based in 1996. 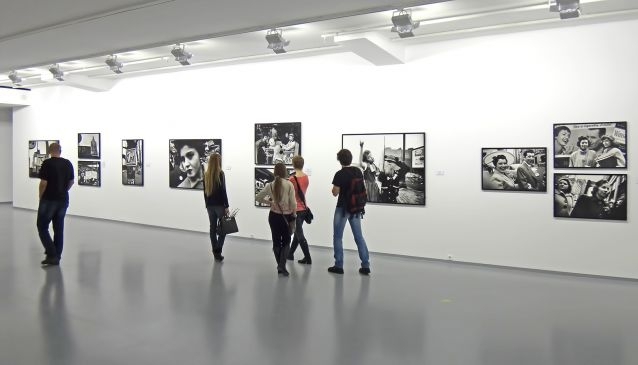 In 2006, the museum was named after Russian classic of photography Alexander Rodchenko and Multimedia Art Museum, Moscow (MAMM) intended to acquaint Russian audience with contemporary art and multimedia technologies. In 2010 the complex was renovated, and today it is a magnificent, modern and brand-new museum with an area approximately 9,000 sq.m. Past and contemporary masterpieces of some of Russia's most famous photographers are exhibited in the dozen or more rooms of this specialty museum. MAMM and Moscow House of Photography have hosted more than 1300 exhibitions in Russia and abroad with average attendance of 30 to 35 thousands per month and issued more than 100 books.